A full day’s board is charged for the days of arrival and departure. A 10% discount is available for stays of more than 28 consecutive days. For cats being boarded in excess of 28 days, a 50% deposit is required on the day of your cats’ arrival, which will be deducted from the final invoice. There is a minimum charge of £30.00 per stay. There is a minimum charge of seven days board at Easter, Christmas and New Year. We appreciate that due to unavoidable circumstances; there may be a delay in collecting your cat. Notification of any delay is required as early as possible to ensure the continued availability of a chalet. Payment for boarding must be made at the time of your cat(s) collection. We accept cash and most major Debit and Credit Cards. The minimum charge is £6 up to 6 miles from Clay Cottage Cattery plus £1.00 per mile or part mile thereafter. All units are built to F.A.B. standards, and are 5 Star licensed, approved and regularly inspected by Breckland Council. The accommodation consists of 15 luxury chalets set in our beautiful garden, which is overlooked by our home. All the chalets are insulated and have thermostatically controlled heating in the sleeping area and an exercise run with scratching post and shelving where the cats can relax and watch the birds outside on the bird feeders. They also have personal ‘on-suite’ toilet facilities, which are unique to Clay Cottage Cattery. Our UPVC chalets provide a clean and hygienic environment for your cats stay and the full height opaque sneeze barriers between each chalet ensures there is no contact between the cats thus reducing any risk of cross infection. All chalets are fully cleaned and disinfected between occupancies. Scratch posts, beds, bedding and toys are provided but owners are more than welcome to bring their cats favorite blanket or toy with them to remind them of home and help them settle in. For added security there is a safety corridor between the chalet and the outside world and we operate a 2-door system (one door is closed before another is opened) so the cats cannot escape. In addition, the cattery is surrounded on all sides by CCTV cameras, security lights and the doors are secured at all times. The premises are occupied 24/7. Only cats that have a current vaccination certificate against Feline Infectious Enteritis and upper respiratory infections (Cat Flu) can be accepted for boarding and owners must produce an up to date inoculation certificate on arrival. 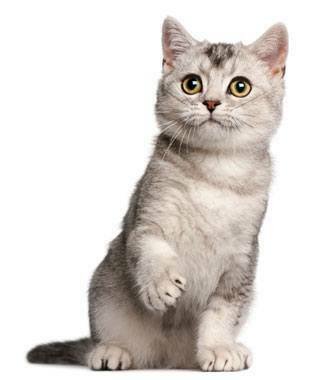 Unfortunately male cats over the age of 6 months that have not been neutered cannot be boarded with us, due to their habit of spraying, and this can present an infection hazard. For the health and wellbeing of all our boarders, we require all cats to be up to date with their worm and flea treatments before boarding with us. If any evidence of internal/external parasites are found when your cat is boarding with us a charge of £30.00 will be made for the additional time taken for your cats’ grooming and the special cleansing of your cats chalet, exercise area and bedding to ensure that no parasites remain. 1. No cat suffering from, or suspected to be suffering from any infectious or contagious disease can be accepted for boarding. The proprietor reserves the right to refuse admission to any cat showing any signs of ill health. Owners will appreciate that this is essential in order to safeguard the health & wellbeing of all cats boarded. Any pre existing conditions must be advised at the time of booking. If your cat requires special care or medication this should be discussed with us at the time of booking. In most cases we will be happy to continue with any medication or treatment prescribed during your cats stay with us, providing full instructions are given. All medication must be in the original packaging. 2. Although it is very unusual for a boarding cat to become unwell, the following steps will be taken should this occur. i) If illness is suspected, your cat will be placed in the isolation unit while veterinary advice is sought and where practical; your own vet will be contacted. Dependent on the level of treatment required we reserve the right to take your cat to the catteries nearest vet, Knotts Yard in Watton. ii) Should owners insist on their cat being taken to their own vet, a mileage charge of £1.00 per mile will apply. iii) We are happy to administer medication, but if the illness warrants, in consultation with yourself, your cat will be hospitalised with our Vet until your return. iv) Clay Cottage Cattery will endeavor to keep you (or your appointed emergency contact) fully informed, and we will take the very best care of your cat. v) All veterinary treatment will be carried out at the owner’s expense. Veterinary treatment invoices will be produced for payment on collection of your cat. If an elderly cat should pass away whilst boarding with us they will be placed in the care of our Vet for your collection upon your return from holiday. We only supply the best quality wet food and biscuits and try to ensure that the food offered is the same as you give your cat at home. If allowed, they can have occasional treats including fresh fish or chicken, Dreamies, Felix Goody Bag and meat sticks. Special diets can be catered for, usually at no additional cost, however if your cat is on a prescription diet we request that you bring this food with you. We supply most brands of wet food and biscuits including Senior, kitten and Light varieties.